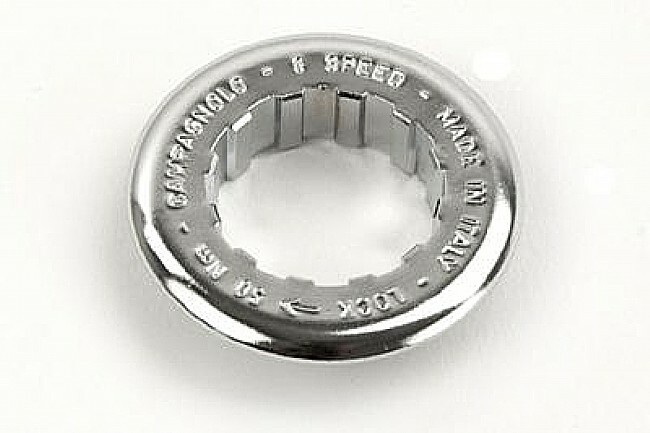 Genuine Campagnolo lockring for 9-Campy freehubs using a 26.0 (non-oversized) outer thread diameter (All 1997-98 and 1999 Athena, Veloce, and Mirage hubs). Also works with other 8, 9 and 10-speed hubs using a 26.0 outer thread diameter. Steel construction, made in Italy. 12/13t size (not compatible with cassettes using and 11t cog). 18g. Campy cassette tool (Campagnolo CS-401 or Park BBT-5C) required for installation and removal.